Sold by LEO'S and Fulfilled by Amazon. Gift-wrap available. 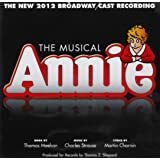 Amazon's Choice for "annie soundtrack cd"
Sold by LEO'S and ships from Amazon Fulfillment. 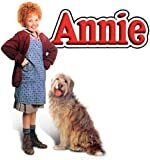 5.0 out of 5 starsBest version of Annie; best soundtrack bar none. 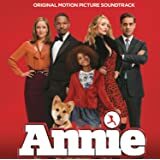 Want a great Annie recording? This is tops. If you haven't seen the Aileen Quinn - Albert Finney - Carole Burnett version of Annie, well, this is the time to correct that. Order the DVD and watch. But don't forget to buy this CD of the songs. They are so much better than the iTunes or Amazon MP3 versions (which don't have this version of Annie!). But remember, you can get a copy here and then make an MP3 (rip) for your iTunes or Amazon or Play library. Well, worth it! The songs are not perfectly in order with the movie order... they are all there, but there are a few (only one I noticed) order problems. The Movie starts (after Tomorrow intro) with the song, "Maybe" ... a deeply moving song about Annie finding parents. The CD has this song second, after Hard Knock Life. Uggh. Come on Columbia records! Really? UPDATE: I recently discovered why there are these little glitches (like the reversed order above). The Movie went way over budget and way over time. They had to scrap the initial scene (which included Sandy walking through the city and the radio playing the original Hubert Hoover song from stage production). This left then "It's a Hard Knock Life" as the opening song (after Tomorrow intro). I am not sure what else was originally there, but this Soundtrack was produced with that order. Then the director called a big (and successful) change and started the show with Annie singing "Maybe" That is why the order doesn't match. The slight lyric discrepancy comes from this issue too. As with many soundtracks, the songs have been "cleaned". By that I mean we don't hear the slight movements and steps that are part of the original soundtrack of the movie. Small interactions (between characters) in the middle of songs are missed.... perhaps they thought, "The kids stepping on her toes is not PART OF the music of the song. These things have been taken out. Some will like this, some will not. Still, all the singing and songs sound like the original soundtrack. (Though, see above update... clearly there were a few songs that are changed between final production release of the Movie and the soundtrack's release [which came earlier]). When you listen, you hear the same exact pausing, emphasis, etc. I don't think they used another recording of the music (unless it is with the song "Never fully dressed without a smile" Peter Marshall's song sounds a tiny bit different... and the orphans have one line slightly different it seems. Beautiful recording brings out the terrific numbers. Everything sharp, gorgeous audio recording. Aileen Quinn is the perfect Annie, so I don't think her natural style (no polished clone-like singer here!) I love her vocals! And the "feel"of Annie's songs is just right with Aileen Quinn. You have GOT TO PULL for Annie when you watch it... you got to connect with her or the whole thing is lessened. Aileen Quinn got it perfect. 5 Stars. (only those who haven't seen this version already would dislike her voice and performance). Albert Finney is Daddy Warbucks... and is highly enjoyable with his duet SIGN and Let's Go To the Movies. (Sorry, no NYC recording in the Motion Picture soundtrack. A few songs where switched out.) The only one I miss was NYC from the play. Still, this is a great song... it just isn't NYC. Tim Curry in ANY musical is going to be special! And here, playing Rooster, he brings life and breath to Easy zee zee zee Street! Wonderful. Carole Burnett. No she isn't the perfect voice that some want. But she is a capable singer and having her personality and charm in this part is wonderful. "Little Girls" sparkle with her masterful character recording of the song. Ann Reinking brings the gorgeous vocal tones to the CD. But it is the other actors that sell this CD and make it the best available. UPDATE 2: Some have complained, "Why aren't the songs the same as in the play?" They were updated and changed. As stated, I only really missed "NYC." There were some bad ones in there too. The new songs are pleasant and don't detract (minus missing NYC). The 2014 remake of Annie will change things even more... much more. Including songs. The songs "Dumb Dog," "Sandy," "Let's Go To The Movies," "We Got Annie," and "Sign" were written expressly for the film. The songs from the original play that were dropped were "N.Y.C. ", "Something Was Missing," "We'd Like To Thank You, Herbert Hoover", "You Won't Be An Orphan For Long," "Annie," and "A New Deal For Christmas". The last four songs are not in either the film or TV adaptations. The Song, "Sign" (short little fun number that pits Warbucks against Hannigan (Finney v. Burnett)) is a number that was written in 2 days in order to have Warbucks and Hannigan interact and be humorous interlude. It works wonderfully. Yes, it is true that Warbucks doesn't go to the Orphanage in the original play... but it adds some needed tenderness of Warbucks and also his power is seen too... Tenderness as he wants to go himself, power that he knows so much about Hannegan, and is so focused on doing right by Annie, we know he will be successful. Thus the song "Sign" (the contract) brings us further in the story and showcases Burnett and Finney! By the way, there was a nation-wide search (plus Canada and UK)for the perfect Annie, 10,000 auditioned, 9 were selected to screen test. This cost a lot and one of the reasons that the movie went over budget. Of course, there were Annie's with better voices (the girl who belts, "Rover, why'd you think it over." was one of the finalists... amazing voice there). But Aileen Quinn presented the complete picture, so they thought. And we are treated to one of the best Annie's because of it. Aileen Quinn was ten years old when she was cast as Annie. She came from Yardley, Pennsylvania. 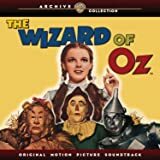 Aileen Quinn dropped out of sight after doing Annie and then the voice of Dorothy Gale in Wizard of Oz animation in 81 and 82. But, she is recently (2008-2014) been doing some movies again. 5.0 out of 5 starsThe sun did come out!! Great soundtrack! My best friends little girl absolutely loves the original Annie movie. Her mom had the hardest time finding this original soundtrack that included Carol Burnett!! So glad I got to make a little girl happy!! 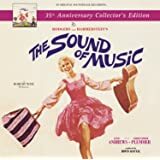 I have seen the live stage performance of this musical and now as grandparents, we are starting to share favorite musicals with our granddaughter. This production gets five stars based mostly on the comic genius of Carol Burnett as Miss Hannigan. Sit back, enjoy and sing along. If you were a kid in the 80s you HAVE to love this album! 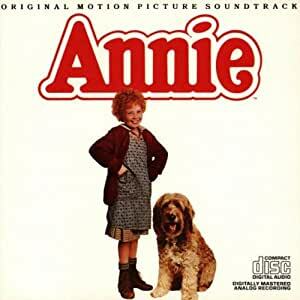 Growing up I wanted to be Annie so badly (I mean, I wanted to play her on Broadway or in the movies--I didn't seriously want to be an orphan with a smelly dog), this album takes me back to being a 7 year old singing "Tomorrow" at the top of my lungs. Buy it! It's a pretty inexpensive piece of nostalgia! Better yet, buy this AND buy the original Broadway cast and compare them. They're both wonderful, but for different reasons. 5.0 out of 5 starsMy daughter will be thrilled! The songs are the same as the ones on the movie. It included all of the ones my three year old loves most. I can not wait to see her reaction to this Christmas gift. Sound quality is not like CDs from new artists, but CDs did not exist when the movie was released in the early 80s (30 years ago!). I was just thrilled to have the music in a format I could play at home. 5.0 out of 5 starsLove this musical! Love this musical! I was so glad to finally get a copy again. There have been many variations but this one with carol burnett is the best. 4.0 out of 5 starsgreat fun if you love the movie version of Annie! my daughters (5 & 6) love this Annie movie, it was the same one I watched as a child. We decided to buy the soundtrack as they loved to sing all the songs. All the songs from the movie are included. It's worth nothing that this movie version and sountrack ARE different from the Broadway musical. 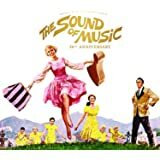 SOme of the broadway songs have been excluded and some new songs created for the movie added in (Dumb Dog comes to mind). 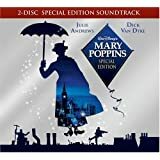 This soundtrack wasn't re-recorded just for this, it was taken directly from the movie, so there is some dialog in the beginning of some of the songs. Overall, it's a big hit in our house.